If they only would stick in my ears. Bastian, EarPods are white. So are AirPods. Hilbert, are your ears too large or too small? I have a similar experience with the Jabra Elite Active 65t! Was very sceptical about wireless headsets, but they work like a charme with iPhone 7 and now XS. No hassle whatsoever, no disconnects, no need to repair etc. Earlier experiences with Bluetooth have been... mixed at least. The size is right, but my ears lack these little bumps which would keep the AirPods in place. They are only held by the ear canal, so they really easily fall off. I envy the people who can run a marathon with them. So I bought the Jabra Elite 65t (not the Active one), they stick in my ears but they have a serious audio balance issue. More often than not the balance is off, often it starts balanced but after some time the volume is notably down on one side. Very annoying, Amazon already replaced them once, but the new pair has the same issue. I saw a lot of complaints about audio balance on reddit, but I have the impression that these people experience a constant imbalance, not these temporary ones. I also tried the Sennheiser Momentum True Wireless at a Sennheiser store, but the fit was so terrible in my ears that I didn't even bothered to pair them to my phone to test the sound. Understood. Fit is really important with true wireless earbuds. If you are missing those bumps, you can either go ECH which seal the ear or use sports headsets with an over-ear hook. This little loop in the back pushes them ever so gently into the ear canal: https://amzn.to/2CLFFsH But those are for sports, not perfekt sound. 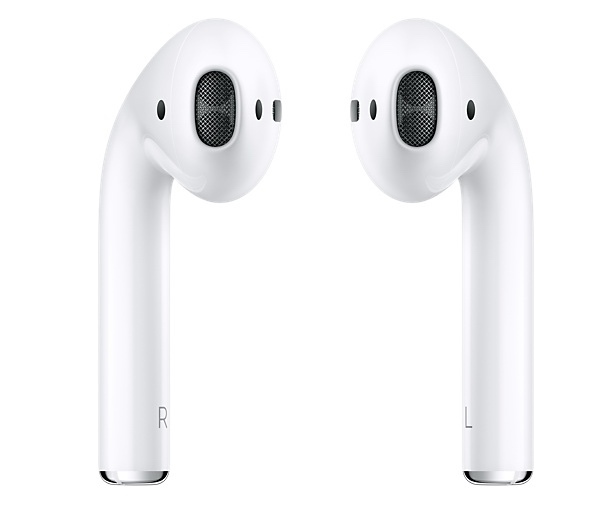 The AirPods have a convenience way beyond any other headset. It almost feels like a wired headset without a messy cable. And the handling with little magnets that pull the earbuds into the case, the lid, all of that is very, very satisfying. And lastly, this case is tiny compared to all competing products. Volker, what do you mean with "ECH"? A Google search didn 't provide anything useful. The AirPods case is really very well made, the Jabra Elite 65t case is rather difficult to open in comparison and if your're not very careful the buds might fall out as they are not secured via magnets. The size of the AirPods case is really perfect, as it fits into the little 5th pocket of my jeans, so I can carry them all the time. The Jabra case is too big for that. Ear canal headphones, wie die Jaybird. Die leben im Ohr. I believe that pocket war originally made die lighters - and comparing a classic Zippo with the AirPod case makes it obvious why it fits. Until now I have not been pleased with the sound quality of in-ear-headphones. The best I have tried were Samsung’s Icon X (the Galaxy Buds have no bass) but over- or on-ear-headphones sound much better and are easier to put off. If ECH have no bass, you need to use larger gels. You can test this by pushing them in while they are playing. I like my AirPods and use them at least on my daily walks and almost always when I'm talking on the phone but... They don't always "just work." They can take a LONG time to connect. Sometimes I can't get them to connect in time to answer a phone call. Sometimes only one will connect but not the other (I can get them to connect sometimes by switching to speaker phone, taking them both out, then put them both back in.) Sometimes they simply won't play music from my Watch. I have to unpair them from the phone and start over. But I do like that they sorta seamlessly work between Watch and iPhone. Bill, that is very odd. Never happens here. Have you tried cleaning out your list of paired Bluetooth devices? Once in a while I throw them ALL out and then add the ones I actually use.